Often, professionals whose primary responsibilities are patient care or administration face the task of buying furniture for their facility because their organization does not have a professional buyer. While the task is a daunting one, the good news is that there are many good resources available! dormitory and other specialized environments. Furniture Concepts is a twenty-plus-year-provider of furniture solutions for all types of heavy use and special needs environments. No clear budget. It is important to have a clear budget ahead of initiating a furniture purchase. There are many options and finishes available in the contact furniture market and like anything else, the sky’s the limit. Know what your budget is in advance to eliminate wasting time with unrealistic proposals that will inevitably break the bank. Knowing your budget will help keep your project on-track. Inaccurate understanding of the buying cycle. Furniture for a patient care or other group living facility is typically budgeted to be replaced every 2 – 5 years. Knowing the expectations for your facility is important because the longer the buying cycle the more important it may be to avoid trending styles and popular color combinations in favor of more neutral or traditional styling. Today’s hottest trends might not look quite as appealing five years from now but might be perfectly well-suited for a two year replacement cycle. Getting distracted by upholstery options. Just about everyone appreciates pretty furniture with attractive upholstery fabrics. 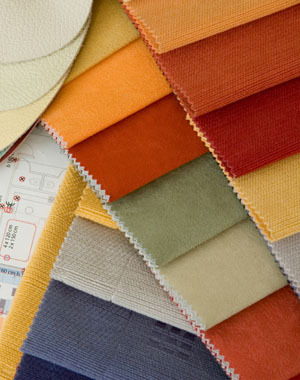 However, picking an upholstery fabric is like going to the shopping mall - you can choose to shop for quality at fair prices or you can choose to spend a fortune buying high-end, designer options. Upholstery is really no different. Fabric designers endorse certain fabric mills and their designs which means high per yard price tags to the buyer without substantial gains in quality. With literally ten of thousands of upholsteries to choose from it is very easy to get bogged down in the choices. Sometimes keeping it simple yields the most satisfying results. Trust your furniture provider to recommend collections that take the guess work out of combining colors and patters. And, remember sometimes less is more - don’t be afraid to choose a monochrome color scheme because single-color seating pieces are a no-fail classic. Buying Retail. While a sofa at a retail furniture store might look the same at first glance as a sofa from a contract furniture provider, the truth is that they are very different pieces. Retail furniture is made for families who will use the pieces for 4 – 6 hours a day in low-energy activities like reading or watching TV. 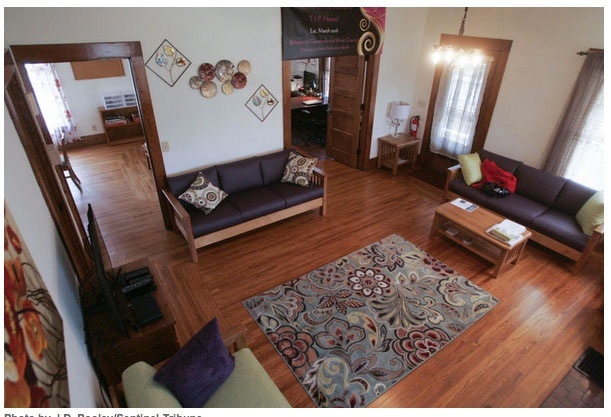 The components, construction and fabrics are designed for single-family use in a home. Contract furniture, on the other hand, is designed and manufactured for heavy-use environments. From the frame to the foam to the fabric, all the pieces are made to standards that allow for heavy use. Contract furniture has a durability that retail furniture does not. Solid wood frames, heavy-duty upholstery with fluid and stain resistant features, and designs for all sorts of special needs – including limited mobility, incontinence, bariatric, behavioral issues and more. The local furniture store cannot offer furniture that is made to the standards o fcontract furniture. Trying to please too many people. Getting a group to agree on furniture style is a difficult proposition. Of course you want at least one other person to validate your recommendations, but if you try to choose by a committee of more than three people it can be a never-ending battle of stylistic opinions. If you have to obtain the consent of a group, present no more than three choices for review and approval. That way you can show a few favored styles without getting too caught up in individual tastes. Not getting the final decision maker involved with the vendor. If final sign off for the furniture purchase lies with a director or administrator who is not closely involved with the proposal process, it is crucial that all the details be clearly communicated to that decision-maker. Often, the features and benefits of a particular product are disclosed in conversation with the vendor. What gets captured on paper, and subsequently passed on to decision-makers, might only be a generic product overview and pricing. It is important to show in writing the construction methods, specifications and warranty so that comparisons can be apple to apple. Not weighing in “value.” Value is more than price – it is the sum total of all price, quality, function, durability and features as well as the service reputation of the company offering the product. Formal quotations are typically evaluated on price. It is important to understand more than just the costs. Also, see #6. Expecting a point-and-click experience. While consumer product buying has become a point-and-click experience, buying furniture for a facility requires a little conversation. Certainly, you can expect to be able to communicate with your contract furniture vendor on your terms – email or phone – but communicating in some way is essential. The right contract provider will need to know about the consumers you serve, your current frustrations, your space planning needs, budget, receiving capabilities, etc. So while you can look at styles and finishes online, it is important to have a rapport with the vendor you are buying from to ensure the right recommendations for your particular furniture needs. Not fully understanding delivery options. When you buy furniture for your home, you expect a delivery guy to bring the furniture in and put it in the room you purchased it for. Contract furniture works a little differently. As a business to business provider, most contract furniture providers work with a shipping network that serves the entire country. The plus side is low, commercial freight rates that do not get buried in product costs. The down side is that most commercial carriers do not provide services that include carrying the furniture into buildings. Inside delivery or full-service installation is often available but the rates can be a deterrent. When working within a budget the extra costs for inside delivery options can be difficult to swallow. Contract furniture providers tend to work on low margins and do not artificially inflate product costs to hide the shipping expenses. As a result, you can compare rates for delivery services. The most budget-friendly option is to have staff remove furniture from a truck and carry the pieces into the building. Expecting high price tags. While contract furniture certainly offers far more solutions for varied consumer and patient needs, it does not necessarily mean that you will experience sticker shock. Quite the contrary, contract furniture is often lower cost than retail furniture despite the fact that it has superior construction, parts and warranty. How is that possible? Well contract furniture providers do not have showrooms or stores that cost extra money. As a business to business provider, contract furniture providers represent factories directly which allows lower cost of production and fewer overhead expenses. Truly, it is a better product at a better price. Who knew? If you are ever faced with an unexpected furniture buying project, take your time to understand the need of your consumers, their families and your staff. Always engage a contract furniture expert who has experience with furnishing facilities like yours. Consider your options and remember there is more to furniture buying then finding the best price. The right value offers far more than price.